Asthma is a chronic disease that makes the airways leading to the lungs very sensitive and swollen, making it hard to breathe. Viruses, mold, pollen, dust, air pollution, animal dander, smoke, cold weather, stress, and some medicines can cause the airways to swell. Things that cause airways to swell and asthma to flare up are called triggers. An asthma attack can happen quickly. It can be mild or very serious. In a severe asthma attack, the airways can close so much that your body’s main organs do not get enough oxygen. 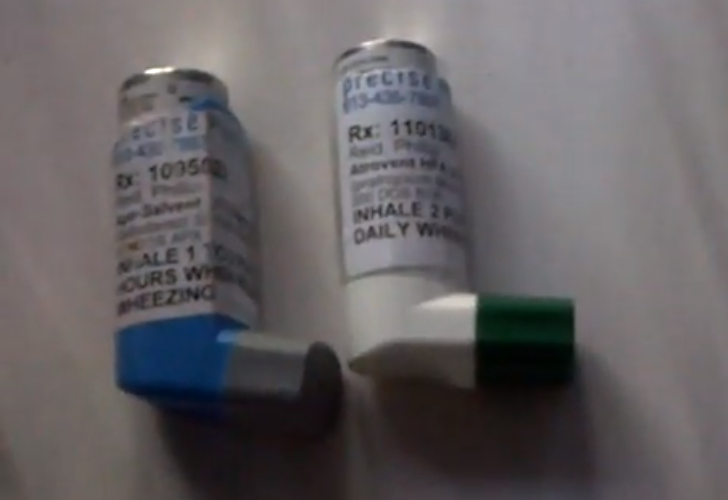 People can die of severe asthma attacks. Physical activity can trigger a problem called exercise-induced asthma. Asthma symptoms are usually triggered by cold, dry air during physical activity. For some women, symptoms such as coughing, wheezing, and shortness of breath can occur within minutes of beginning physical activity and get worse afterward. Other women have symptoms only once they finish exercising. Although the exact cause of asthma is unknown, you are more likely to have the disease if it runs in your family. Asthma is also closely linked to allergies. Although asthma affects women of all ages, the disease is more likely to start in childhood. Managing your disease, such as controlling triggers and using a peak flow meter to check how your lungs are working. A peak flow meter measures how fast you blow air into it. Other ways of controlling asthma require that you change or manage your behavior, such as avoiding secondhand smoke, stopping your own tobacco use, limiting your contact with triggers, and managing other health problems that could affect your asthma, such as stress and sleep apnea, a disorder caused by repeated interrupted breathing during sleep.